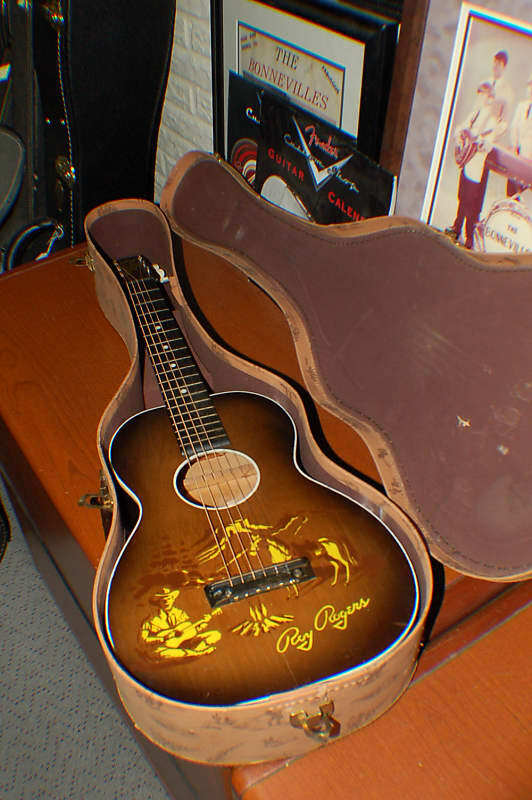 A 1955 Made in USA Roy Rogers Cowboy Guitar with THE Original Cowboy Case. What we have here is a great relic that is still very playable today. 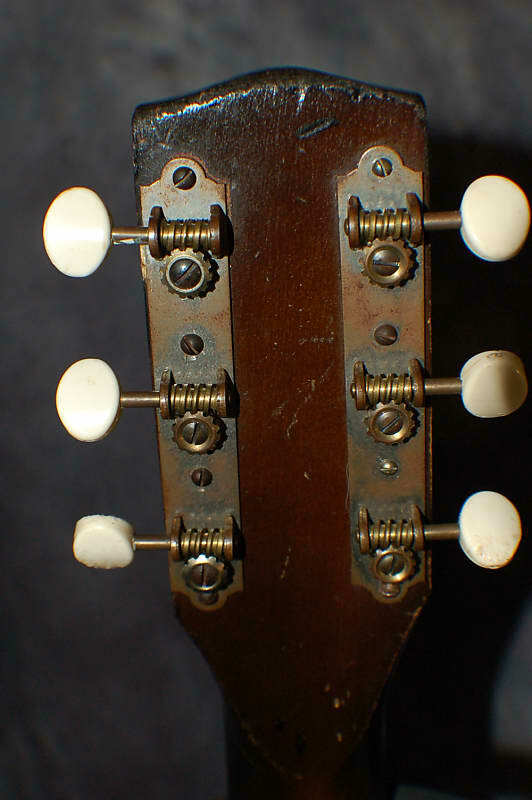 Most of these Cowboy Guitars have been beaten up and have so many missing parts, that if you can find one, it probably isn’t playable. 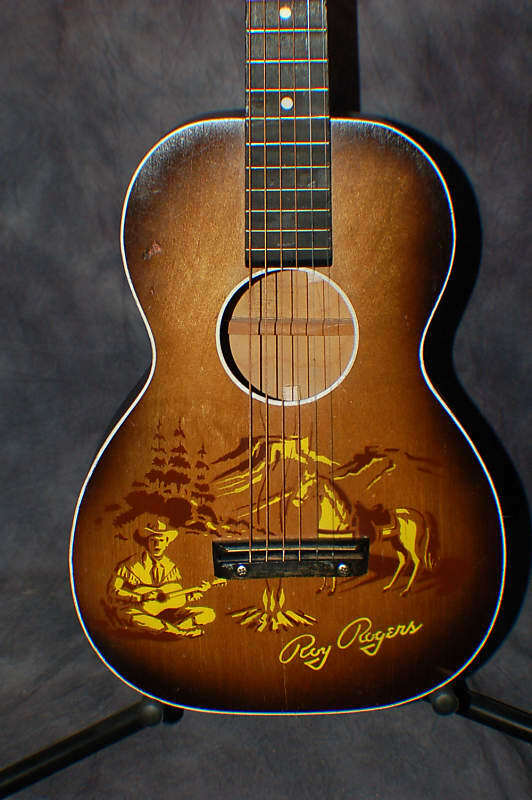 This 1955 Roy Rogers Guitar is in great shape. 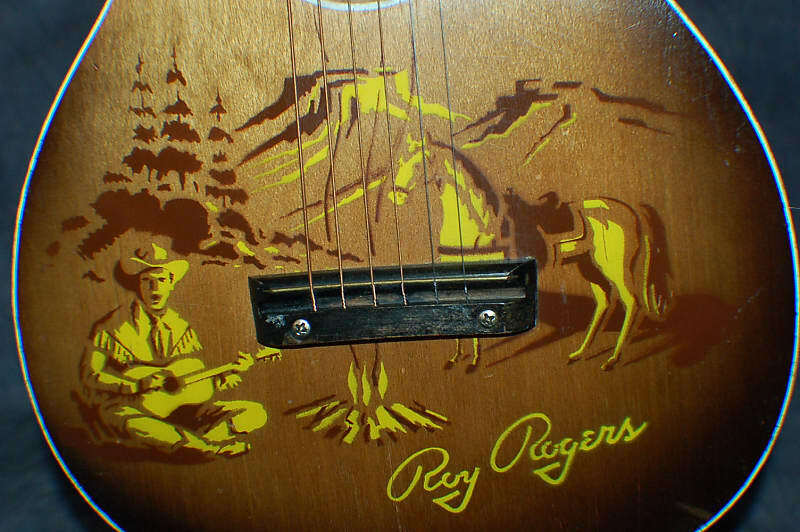 These cool Roy Rogers guitars were made by Harmony. 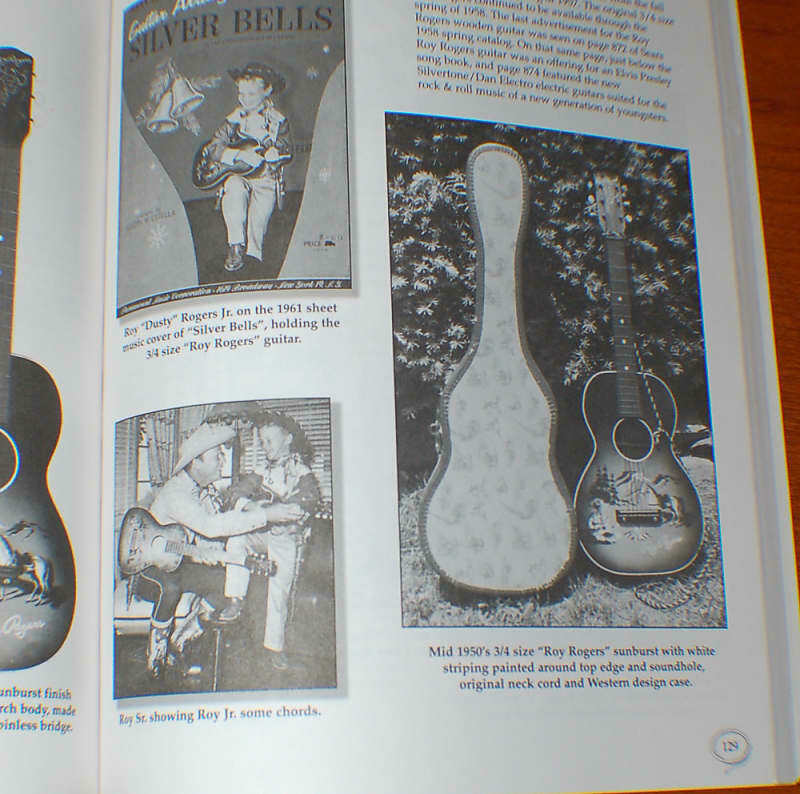 It has Harmony parts such as the tuners and bridge ..These guitars were made from 1954 thru 1958...Marketed in the Sears Catalogs..This one has the Roy Rogers date stamp of 1955...hard to see but its inside the sound hole... 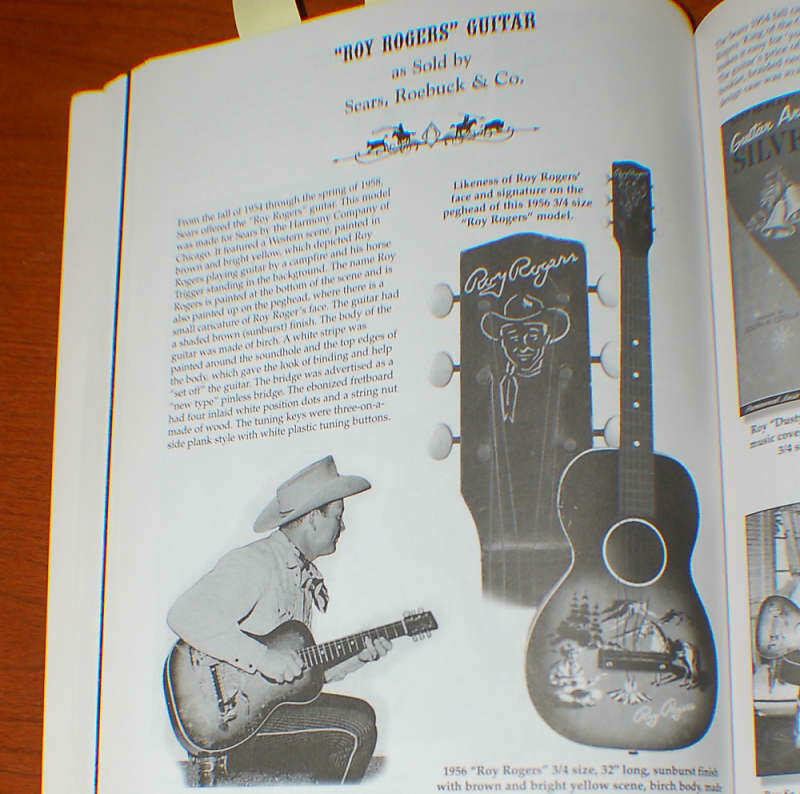 I included some pics from the Cowboy Guitar Book to help with identifying it...see pics 12 and 13.. 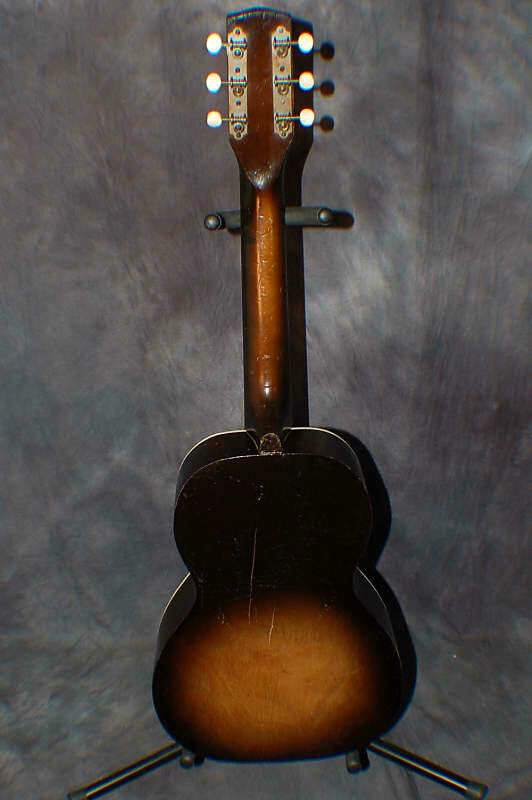 I got this one with the original Waverly Open Back Tuners, wood nut and tailpiece...The frets are hardly even used at all... 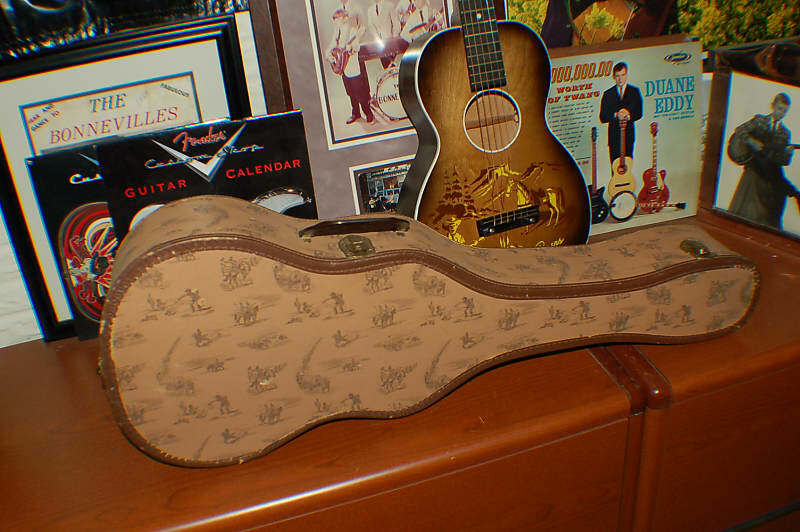 It even has the original Cowboy designed Softshell case.. it is still fully functional. .. The original handle as well as the working latches and hinges are still here. 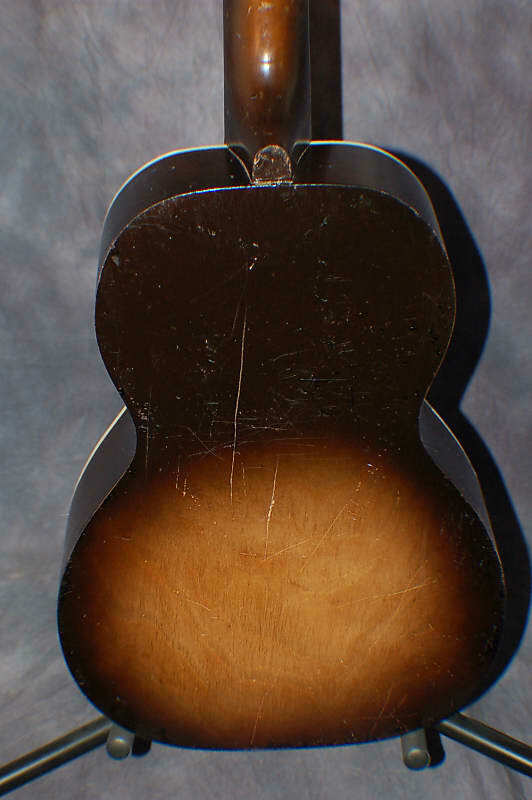 This guitar plays with very nice easy to play action so it is not a wall hanger. 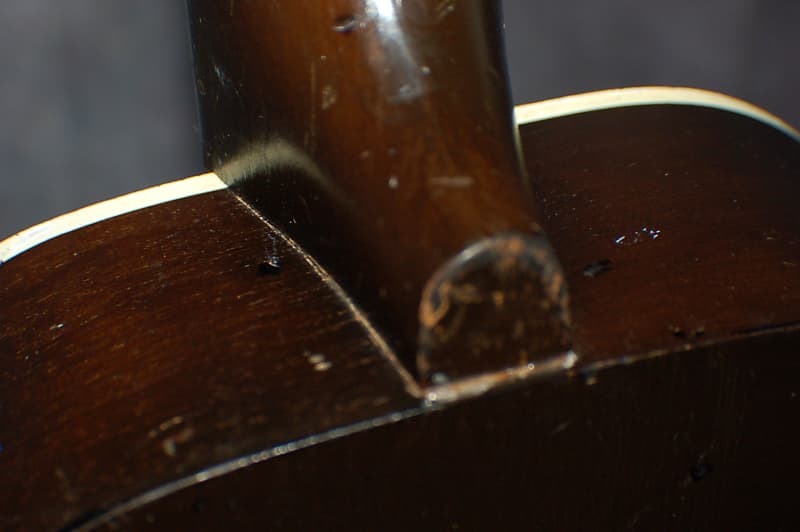 I had our Tech do a complete neck off reset to insure another 50 years of great playing action...it plays as well as any guitar in my shop. Short 21 1/2 inch scale neck...it measures 11 1/4 inch by 32 3/4 inches long..the nut measures 1 5/8 inches..This is not a toy..its a 1/2 size playing guitar that sounds great and plays even better! We fixed a few body cracks and some separations of the back from the sides. Our Tech did a great job! Check those pics! I have two of these which are on the wall of my showroom. 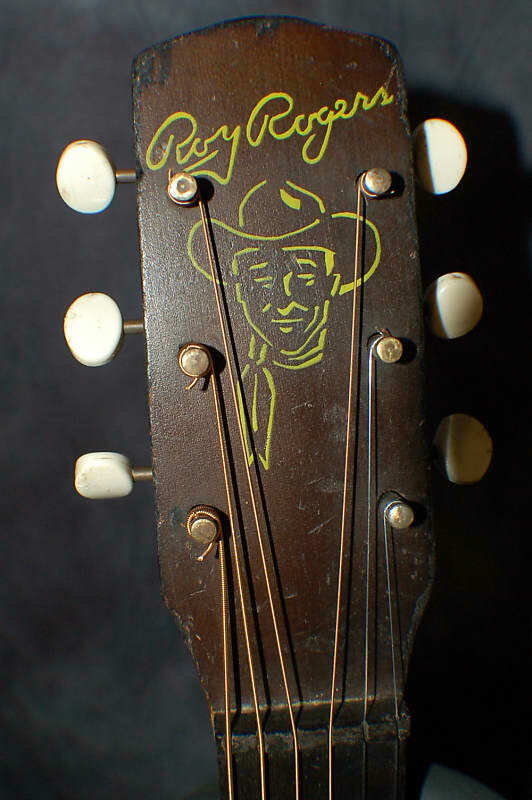 I have been collecting Cowboy Guitars for a long time now and have many. This one needs to be played again. A great Showpiece or player that will get a lot of looks. 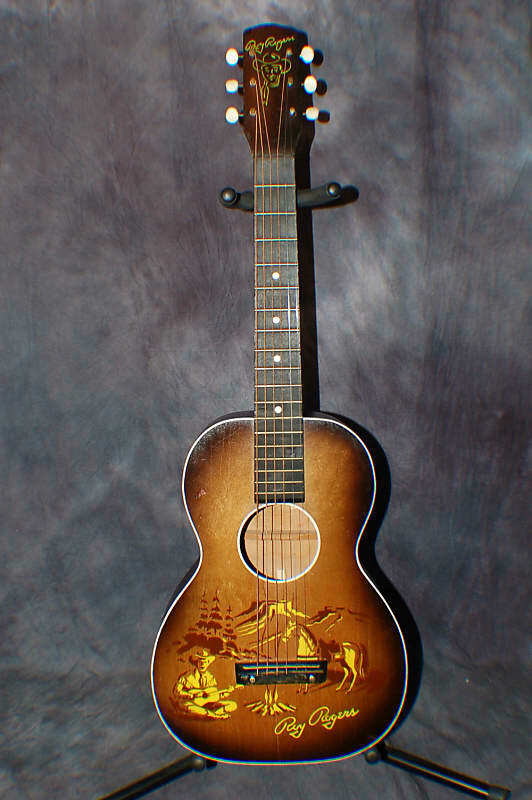 Any vintage guitar collector would love to have this one in their collection. Sold as-is as its vintage and used but know that I have been hand picking vintage instruments for my customers for over 20 years now. They all love theirs and this one will not be an exception..
All guitars are packed and shipped using appropriate materials and usually new guitar boxes. I pack them securely for deliveries near or far. Yes, I ship Internationally when we can get US Priority Mail. All will have stated value for UPS and insurance for USPS. I ship all guitars packed by myself. 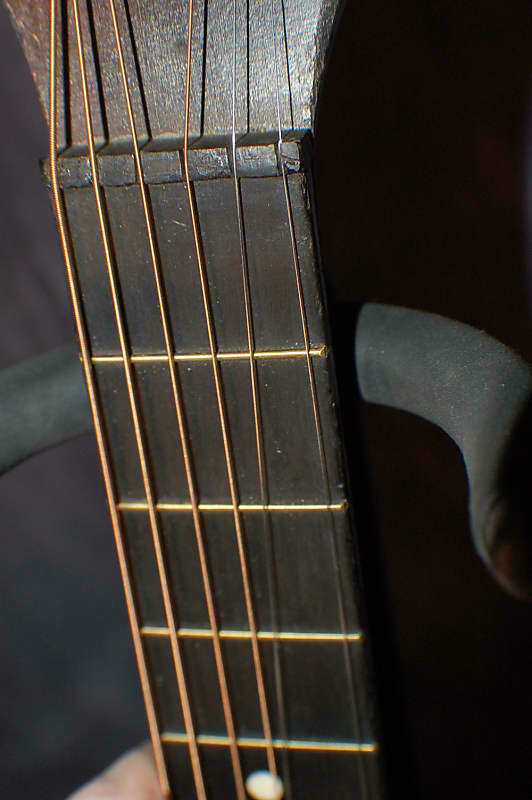 It makes no difference if its a $200 or $5000 guitar. All get packed to arrive like you would like it to.